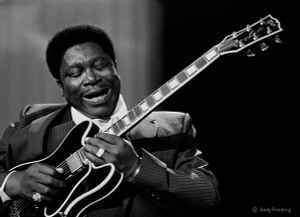 American blues musician, singer and songwriter, born September 16, 1925 near Itta Bena, Mississippi, United States. He died in his sleep at May 14, 2015 in Las Vegas, Nevada, United States at 9:40 PM Pacific Time. B.B. is an abbrevation for 'Blues Boy'. B.B. King is Bukka White's cousin, and he often credits White as an early teacher and mentor. Inducted into Rock And Roll Hall of Fame in 1987 (Performer).